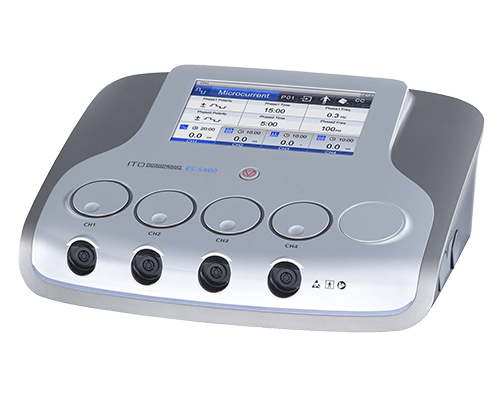 Products - ITO PHYSIOTHERAPY & REHABILITATION CO., LTD. 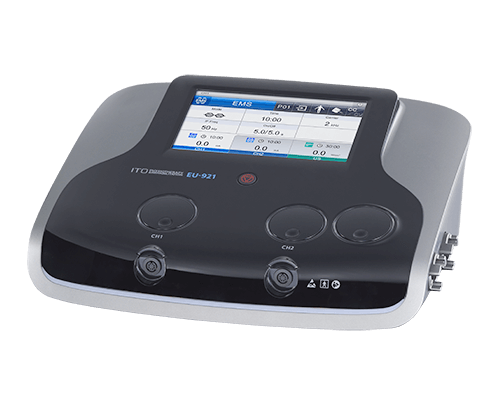 Combination therapy can be applied by providing electrotherapy and ultrasound therapy simultaneously, providing very efficient therapy. 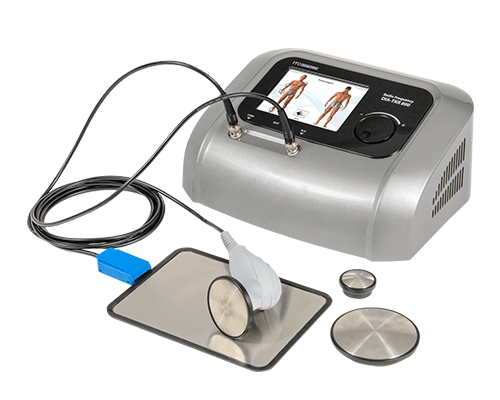 This type of therapy allows much shorter treatment time compared to succeeded separate applications of ultrasound and electric current. 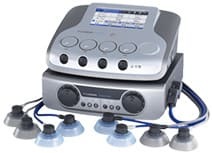 Electrotherapy is a treatment that promotes or represses vital reactions through the application of electric stimulation to the neuromuscular system or sensory nerves. Intended use is to reduce pain, improve muscle strength, increase joint mobility, suppress spasms, promote blood circulation and reduce the severity of edema. 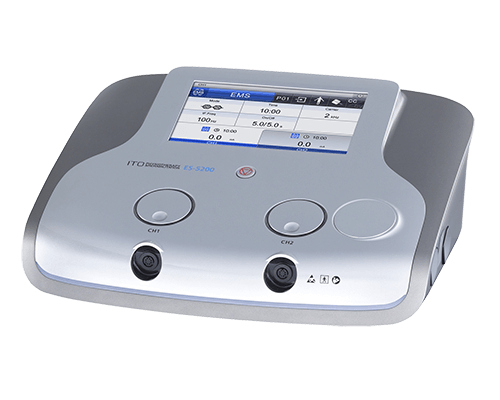 Ultrasound therapy is based on sonic energy inaudible to the human ear which generates micro vibration in body tissues. 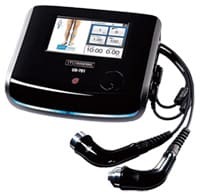 Micro vibration and thermal changes in the tissues contribute to pain relief, localized increase in blood flow, stimulation of tissue repair, reduction of muscle spasms and decrease of joint contractures. The treatment is available in both acute and chronic phases for deep and superficial tissues. Difficult body parts to be treated such as toes or fingers can be treated by immersing a probe and the body part in water. 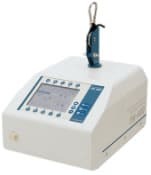 The sound pressure stimulation provided by the LIPUS (Low Intensity Pulsed Ultrasound) system accelerates the formation and re-union of fractured bone, and contributes to rapid recovery. LIPUS therapy is also effective to fresh fracture, delayed unions and nonunion. 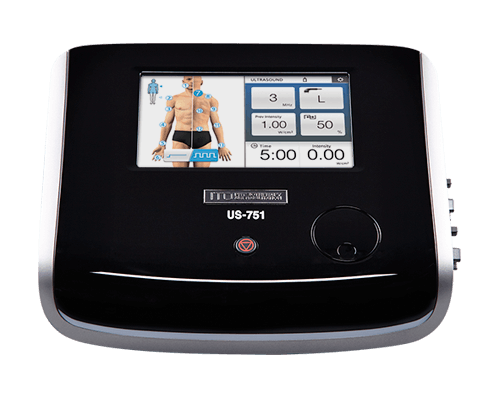 Shockwave therapy is mainly used for the treatment of muscles, tendons, bones and soft tissues. Radial shockwaves are high energy acoustic waves. The kinetic energy of the projectile, created by the electromagnetic generator, is transferred to skin through the applicator of the handpiece. The collision generates shockwaves which diffuse, expanding radially, through skin and the first layer of tissue below. The energy of the waves promotes repair and regeneration processes in muscles, tendons, bones and soft tissues. 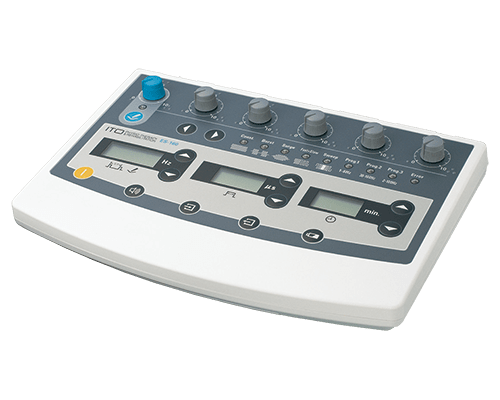 RSK-600 emits high-energy acoustic waves which interact with tissues, accelerating regeneration and cellular growth, allowing pain relief and increased mobility. 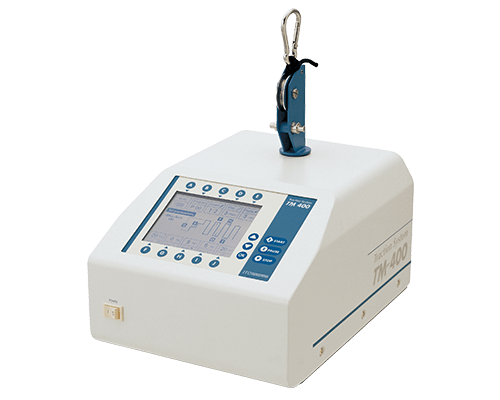 RSK-600 also allows stimulation of the production of collagen and the formation of new blood vessels, dissolving calcified fibroblasts and removing chronic inflammation and trigger points. 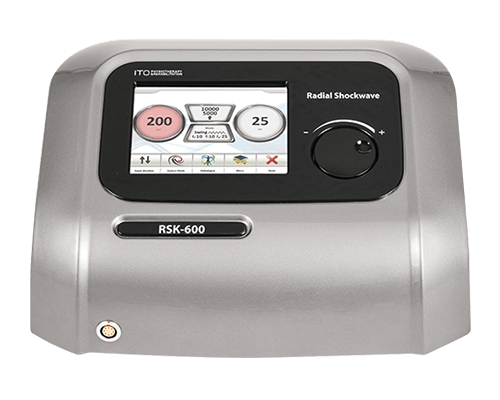 Thanks to these effects, RSK-600 allows various acute, subacute and chronic pathologies to be treated effectively. Many pathologies which afflict the muscular system are at deep area. When the cause of a pathology is at such area, it becomes difficult to reduce the pain. In these cases laser therapy is of fundamental importance because it contributes to facilitating optimal physical recovery. 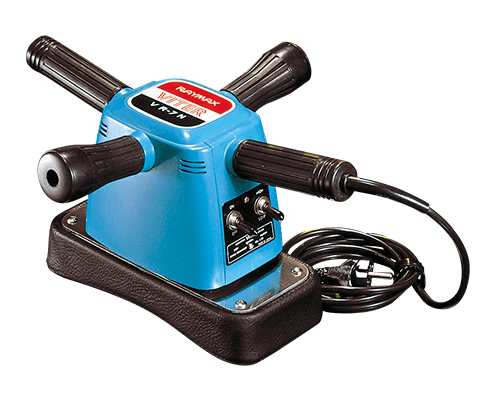 An advantage of laser therapy is its ability to work at deep area, and to resolve the cause of the pathology at its point of origin. This characteristic can be attributed to two properties of the laser: wavelength and power. Different wavelengths have different properties in terms of diffusion and absorption by human tissues. 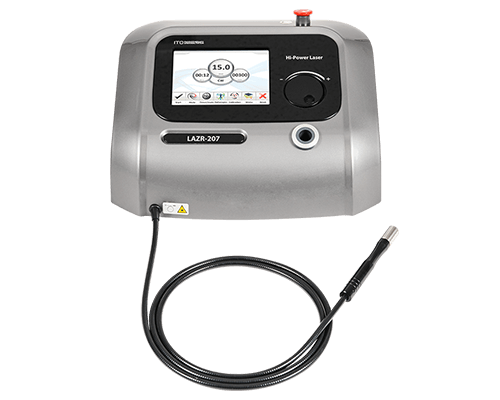 As our laser has three wavelengths, you can select the most suitable wavelength for each therapeutic objective. 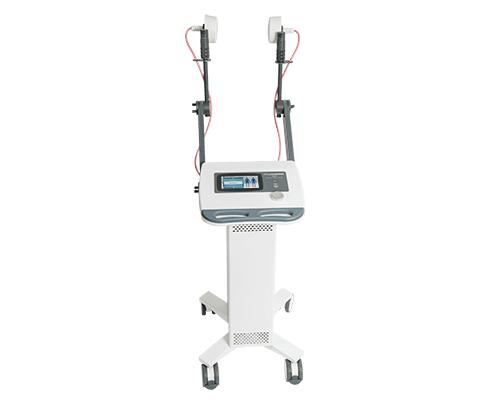 The emission power also increases the effectiveness of the laser, transmitting the beneficial effects to great depth. The greater the power transferred to the tissues, the greater the energy transmitted to the injury. 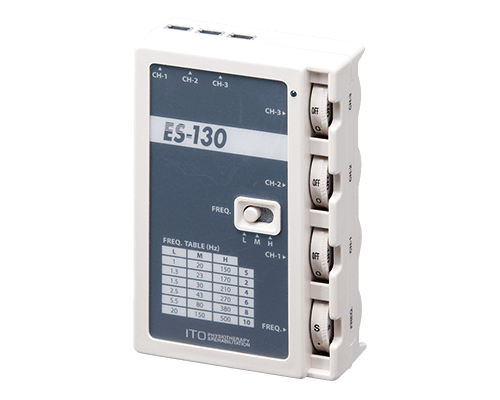 Therefore, power is the main carrier in the transfer of energy. 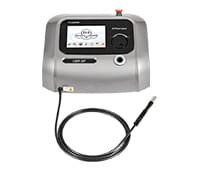 ITO uses innovative Switching Real Time technology for DIA-TKR 800: thanks to this important step forward in technology, it is possible to reach high power and increased therapeutic performance. 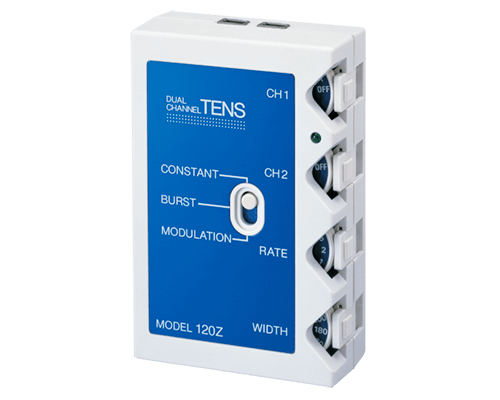 Switching Real Time technology has also allowed the dimensions of the device to be reduced. 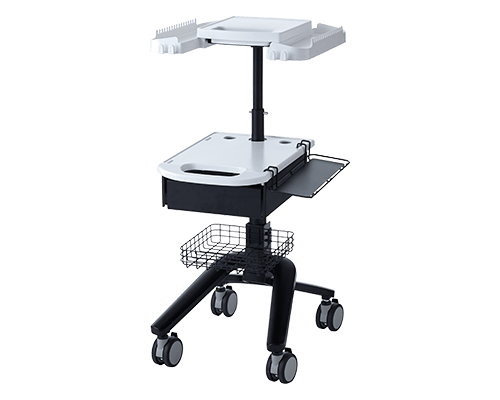 DIA-TKR 800 is compact, high power, and easily transportable. 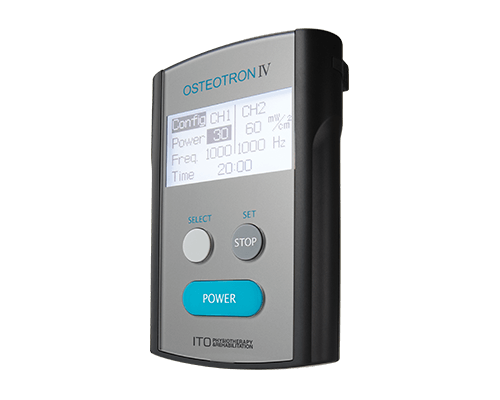 This important innovation has been made possible by the know-how which ITO has gained over the years, designing and building the components of its machines according to therapeutic results. Shortwave therapy uses a frequency of 27.12 MHz. 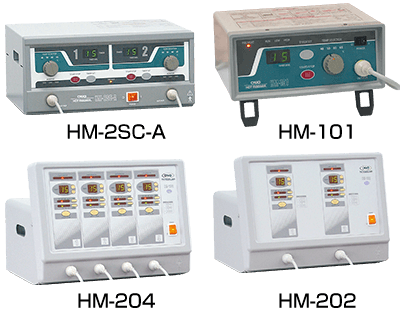 The electric-fields methods used in shortwave therapy comprise Capacitive (Condenser-field) and Inductive (Coil-field) methods. Shortwave in the form of electromagnetic radiation is absorbed by the body, generating molecular rotational movement and displacement current within the body, in accordance with the Maxwell equation. The unique wave motion of electromagnetic radiation propagates deep inside the body allowing tissue to be heated. 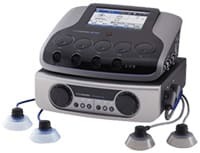 The pulsed shortwave, as opposed to continuous shortwave, can be applied to inflammation, hematoma, sprain and, other sports injuries at acute phase as well as post-traumatic or post-operative cases. It is also suitable for disorders, diseases and injuries at chronic phase. 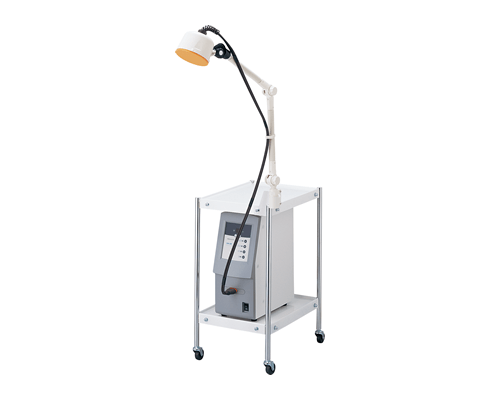 Microwave diathermy is classified as high frequency therapy which utilizes electromagnetic waves. 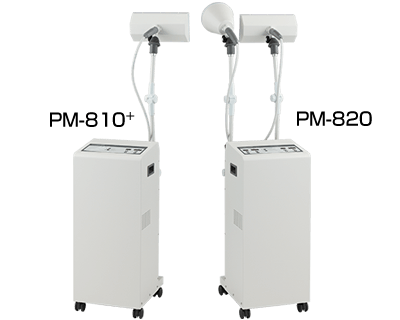 As the energy from these waves is absorbed in high water content such as muscle and will make them warm, microwave diathermy will be practical and suitable for reduction of pain, relaxation of muscle and improvement of range of motion and treatment for pathologies in the muscles. An alternating pulsed magnetic field (PRMF) is used to vary the strength and direction of the magnetic flux with a constant rhythm, in order for the magnetic flux to act effectively in balance with the body. 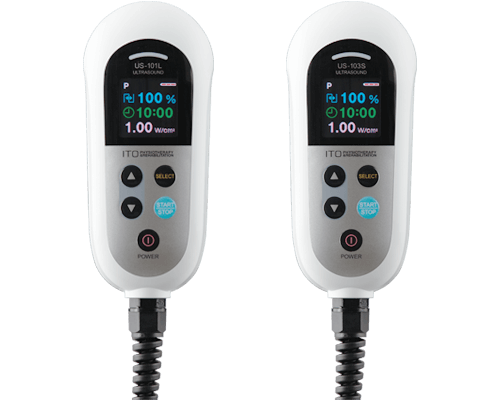 Magnetic flux alters the electric potential of nerves and cells, providing pain-relief effects and healing of injured tissue. A semi-Markov series is used to generate a pleasing "1/f fluctuation" biological rhythm, which ensures even more pleasant treatment. 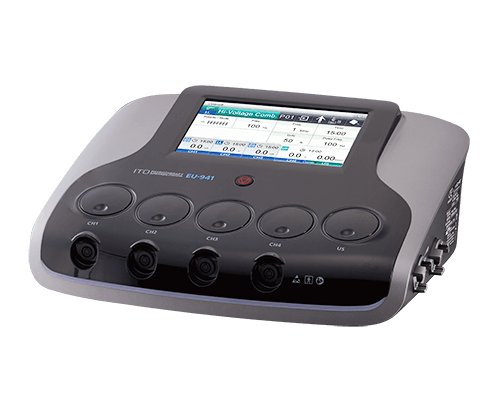 Traction therapy is one of the easiest and most effective methods for spinal decompression. Traction therapy influences the pressure between the vertebrae. 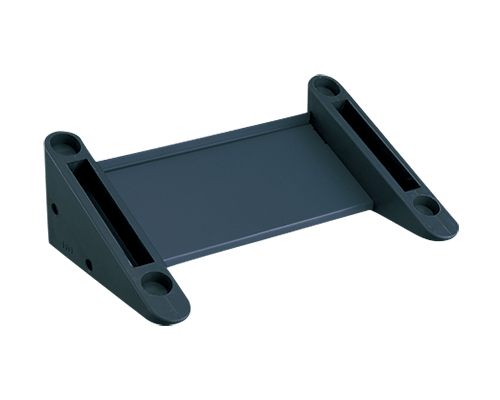 Because of the pressure decrease during traction, a mechanical effect on the nerves is generated and a biophysical effect on the circulation and oxygen supply to the local structures occurs. This can result in immediate pain relief, but also in a structural improvement in the long run. 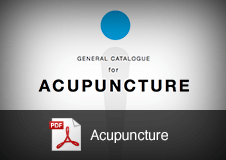 Electroacupuncture is a method of encouraging the body to promote natural healing and to improve functioning. This is done by inserting needles and applying electrical stimulation at very precise acupuncture points. Needling the acupuncture points stimulates the nervous system to release chemicals in the muscles, spinal cord and brain. These chemicals either change the experience of pain, or they trigger the release of other chemicals and hormones that influence the body's own internal regulating system.